We have been obsessed with rainbow activities lately. Spring is here are we are ready for some color and brightness! 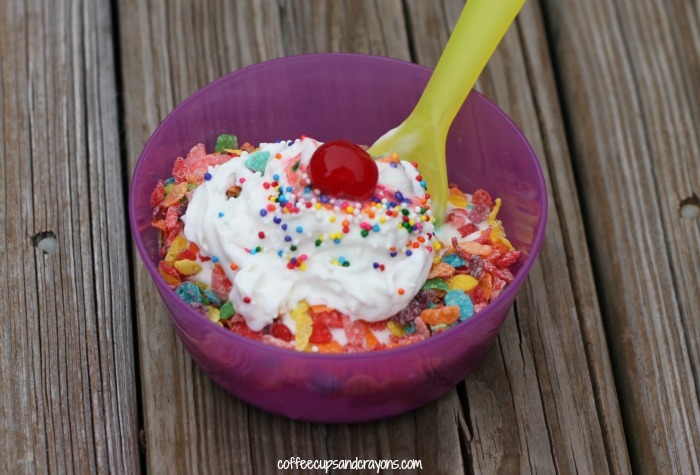 Rainbow snacks are always a hit with my family, but these rainbow ice cream sundaes are our new favorite. 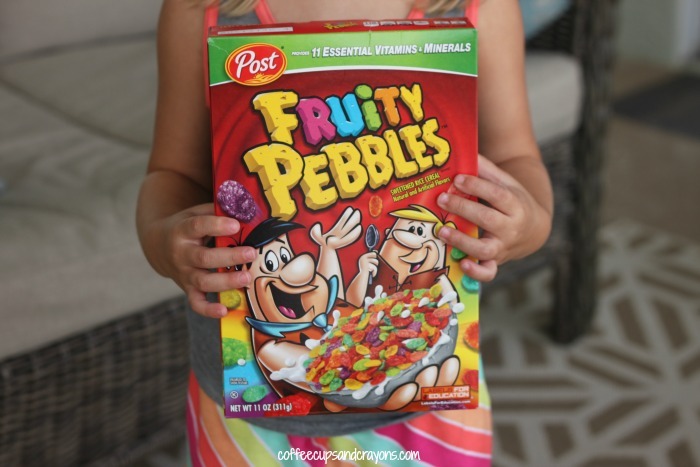 We’re so excited to partner with Fruity Pebbles for this post! 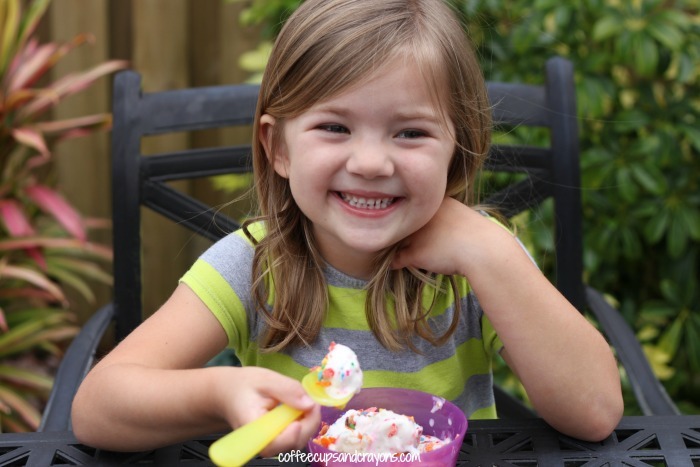 The weather has been nice at our house so we were excited to make ice cream sundaes, especially ones this colorful. 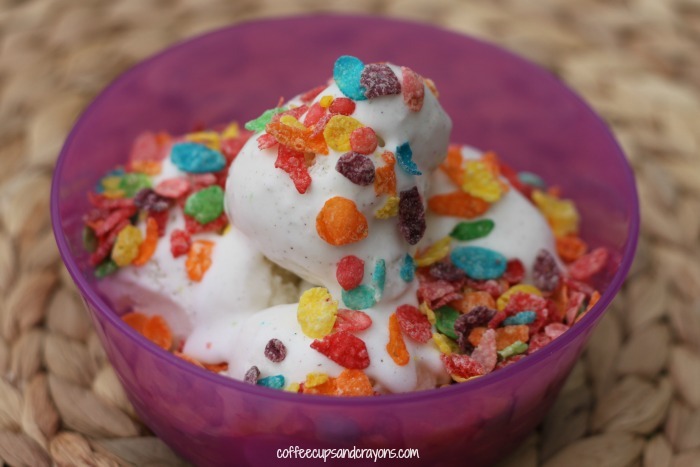 We had gotten Fruity Pebbles at Walgreens and thought the crunchiness would be awesome on ice cream–and it was! 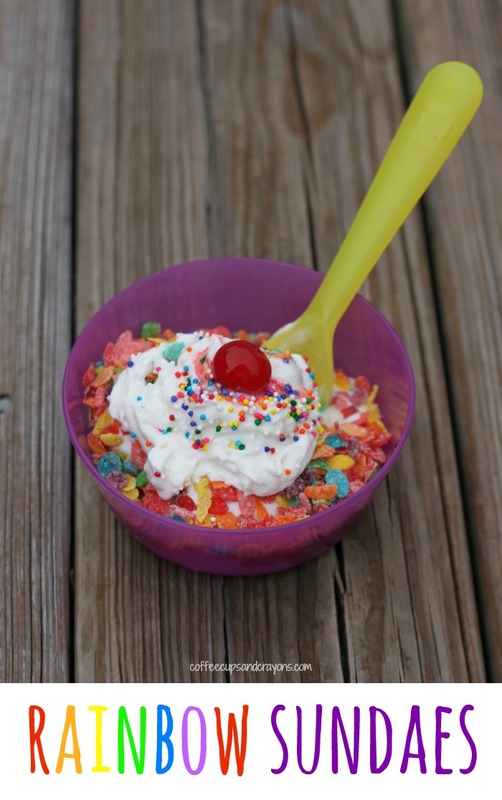 We put ice cream in a bowl and topped it with the Fruity Pebbles. Then we added the whipped cream, sprinkles and cherry. Super easy and completely delicious! The kids could not get over how good the cereal and vanilla ice cream was together and I totally agreed. We have a new secret ice cream ingredient to wow our friends with summer! A secret ingredient? Real rainbows perhaps?